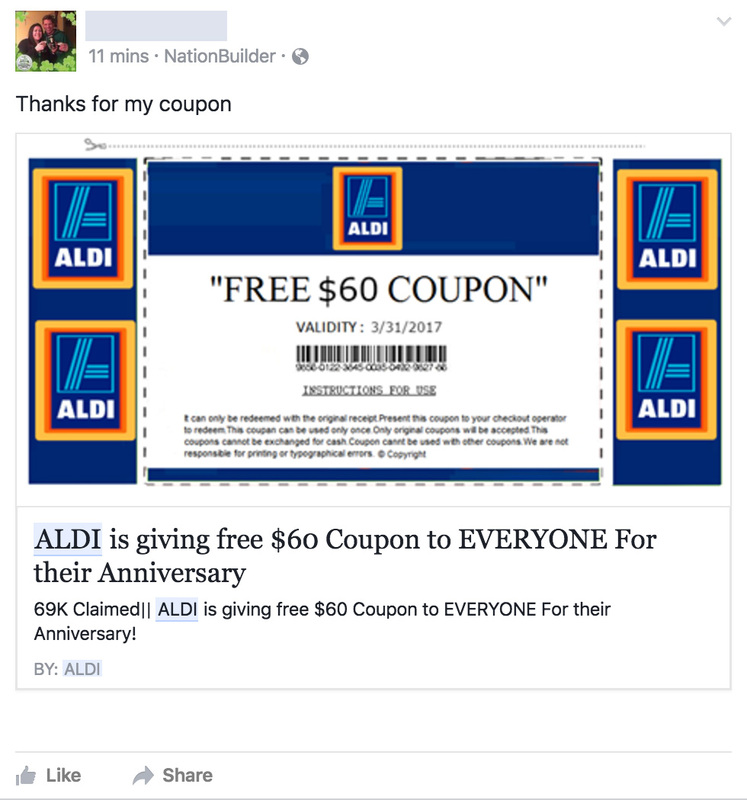 Scam artists are pretty creative, targeting social media sites like Facebook ALDI shoppers who are looking for coupons. However, if you click this link it could put your comport or phone at risk for a virus. The scam may vary from post to post, but generally it offers $100 off at ALDI grocery stores. Sometimes they claim to be offered in celebration of a company anniversary, WSYR-TV reported. The scam uses to company’s logo to appear legitimate, and they have been widely shared on Facebook. Other high profile scams have hit New York residents and companies this year. One scam involves a robocall that asks “can you hear me,” and can victimize anyone who responds “yes.” Another targets company workers by posing as an executive asking for information.